Key tips and tricks for landlords to keep their rentals fully occupied is what I feel like talking about today. The most frequent question that I am asked is “How do you keep your properties rented”. Since I am an active landlord with many rental properties I decided to put my “system” down on paper so that other potential landlords might benefit. I have the best one-two punch system for keeping my properties rented. 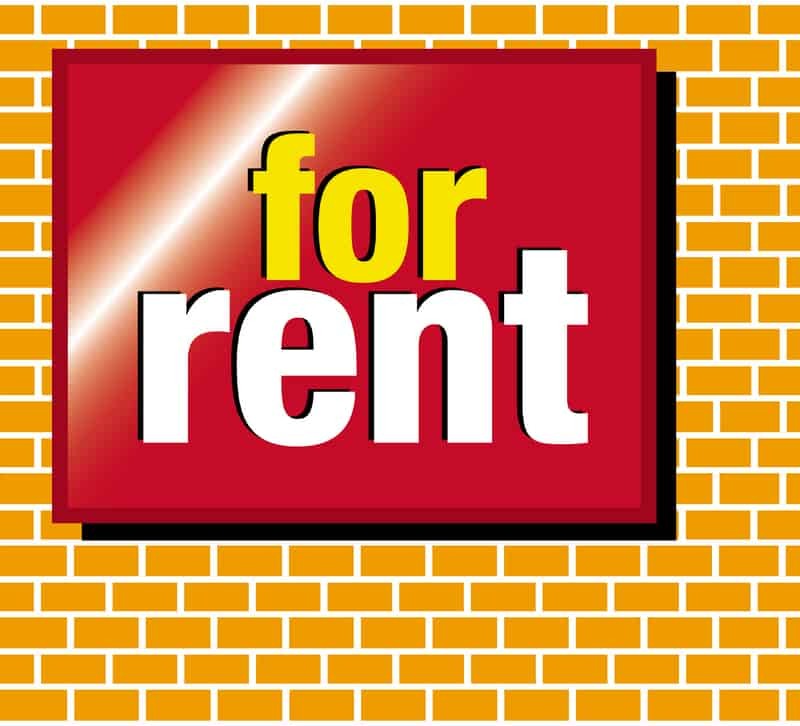 As an experienced Landlord I focus primarily on Advertising and Rental Rates. In order to find tenants, they will need to know about your property. The only way that they will know is if you advertise. Putting a sign in the yard is not advertising. The only people that will see your “for rent” sign in the yard are people that live on that street. Advertising should be both offline and online. Traditional classified ads are still a great place to look for a rental (especially on Sundays). However newer online venues are also a fantastic way to find new tenants. Since approximately half of your potential tenant base might not have access to a computer you are going to need to advertise utilizing both mediums. Classifieds You should advertise your property in the regional newspaper, the Penny Saver, and the local newspaper. You should also be aware of any other free publications and magazines where you can place an ad for free. The more ads you place, the more people will see your property for rent. Online There are free sources and paid sources for online advertising. I use both. For example the most effective online source www.craigslist.com. Since Advertising is free you should post an ad on craigslist as soon as you have a rental property available. Other free online sources include www.backpage.com, and hundreds of other online classified ad sites. You should also utilize social networking sites like Facebook, Twitter, Linked-In, My Space, Yout Tube, Flickr etc to get as much visibility for your listings. Setting up a blog and a postelts account, www.postlets.com, are great ways to showcase your property. Join real estate groups like yahoo groups, Google groups, and other online web sites related to rental properties. If you look hard and long enough you will soon find many sites where you can place a for rent ad for free. Website You have to have your property online on a website. You can create your own website or you can use companies that allow you to advertise properties like www.postlets.com and many other similar companies. The most important thing is that you have to have a website. All of your offline ads including classified, display, and flyers will mention your website where additional pictures can be found. You should always put view pictures at www.yourwebsite.com so potential renters will be able to see pictures of your house online. Digital Pictures In order to have pictures online you are going to need to have a digital camera. You can use the least expensive camera that you can find since the newer 5 megapixel cameras produce pictures that are far too large for online websites. Your pictures should be uploaded to your website and you should have as many pictures as possible. You should have a picture of each room in the house including the kitchen, bathrooms, living room, dining room, bedrooms, garage and utility room. You should also have an exterior photo of the front of the house, back of the house and the yard. How To Write Your Ad Be brief, factual and concise but make sure that you have all of the relevant information. You should also try and highlight the positives. If your property has a large yard, nice kitchen or anything that stands out as a positive feature you should mention it. For example remodeled bathroom, new kitchen, new appliances, new tile, swimming pool, central air, are all positives which make your property stand out. Flyer You should have a full color flyer with color pictures. Your Flyer should mention the same information about your ad but you should include at least 4 color photos. This flyer should be taped on the inside front window of your rental property and should be visible to anyone that walks up to your property to take a closer look. Since you are not at the property you want to make sure that they have an idea of what the inside looks like. This flyer can also be pasted in prominent public places like supermarket windows, coin operated laundries, and any other public place that will let you put up a flyer. This flyer should also be inside an info tube which should be attached to your for rent sign. Make sure you have at least 50 copies since you dont want your flyer to run out. For Rent Sign Try and put as much information on your sign as you can but the most important items are number of bedrooms and bathrooms, monthly rent, security deposit, and move in. If you don’t include this information you will get many phone calls asking you how much the rent is and how much to move in. You want to avoid this so make sure you have the price on your sign. Many landlords do not do this which is a big mistake. Don’t forget your phone number which needs to be big enough to see from the street. Make the phone number big and all the other details can be smaller. Do not reuse old signs with writing on the back or any information that might confuse a tenant. You should also have another For Rent Sign on the inside window next to the flyer. The reason is because if someone steals your yard sign people will still know that your property is for rent. People steal yard signs all the time. Sometimes kids pull the signs to be mischievous. Phone Number This is without a doubt the second worst mistake that landlords make. If you spend money advertising a property and creating flyers then you need to have a system to make sure that your phone is answered when potential tenants call. You can do this by using a cell phone and answering all incoming calls. If you are on the other line, let the potential tenant know that you are on the other line and will call them right back. Do not delay calling tenants back. The tenant is looking at the Sunday classified ads and he is calling every house that is for rent within his or her price range. If you don’t answer the phone then the next landlord will. Don’t complain that you can’t rent out your property if you are not answering the phone. Potential tenants will usually not leave voicemails. They have one day off from work to try and find a place to rent and you want to make sure that you answer their call. Unless you have a really tight rental market in your neighborhood another landlord will negotiate a lease with them before you even get back to them. This is the second most important point to remember. If you cannot answer the phone then you can use a service like www.ringcentral.com which will set up a system for you to capture all the phone numbers that call and give them detailed information about the rental, the price and other relevant information. I have saved the best for last. This is without a doubt the biggest mistake that landlords make. You need to look at the local paper, and the regional paper in order to see what prices other houses are renting for. Try and find the most comparable house that has the same number of bedrooms and bathrooms as your house. Then write down how many rental houses there are that are the same size and write down the prices. If your rental is not the cheapest then it will not be the ad that is called the most. Consider this information. If other landlords are trying to rent out their 3 bedroom 2 bathroom houses for $875 per month then that would be considered the going rate. If you lowered your rental house to $825 then your ad would be called much more than the other ads since your house would appear to be a deal. If you found a tenant immediately because your house was so cheap then you would be better off than waiting a month to get a tenant for $875. You would actually make more money. And in addition to saving money you would also have someone taking over the utility bill one month sooner which would mean a lower utility bill. You would also not be responsible for maintenance such as mowing the lawn on a vacant property. Finally you won’t have to worry about vandalism. Vacant houses do get vandalized. Children walking past vacant houses get kicks out of throwing stones through windows. If your house is vacant long enough people will try and break into it. You need to get your property rented as soon as possible. Having friendly neighbors helps since they can keep an eye out on your property. Make sure that you say hi to the neighbors and be friendly. Give them your card and let them know that you are renting out the house and looking for a tenant. Remember that every day that goes by you are losing money if your property is vacant. A property that rents for $875 per month is costing you over $29 per day. Advertise effectively, lower the rent and get your vacancy filled as soon as possible. If you cannot afford to lower the rent because your mortgage payment is too high then you have overpaid for the property. There is not much you can do about that now. The old 1% rule of thumb works well in most areas. Don’t pay more than 100 times the monthly rent for a rental property. If you cannot afford to rent the property for less than your mortgage then sell it. If you want to hold on to the property for the long term then rent the property. But be realistic about what market rents are and make sure that your house that is for rent is priced accordingly compared to similar houses for rent. The best way to find a tenant is to lower the rent until the telephone starts ringing. Just make sure that you are there to answer the phone. Lex Levinrad has been a full time distressed real estate investor since 2003. He has been involved in buying, rehabbing, wholesaling, renting, and selling hundreds of houses in South Florida. Lex is the founder and CEO of the Distressed Real Estate Institute, which trains beginning distressed real estate investors about how to find wholesale real estate deals. He specializes in buying foreclosures and bank owned REO homes and offers private mentoring, bus tours, boot camps and home study courses for real estate investors. Lex Levinrad is an accomplished national public speaker and has shared the stage with some of the countries best real estate speakers. Lex Levinrad has authored numerous books about real estate and is also the the founder of the Distressed Real Estate Investors Association (DREIA) and the co-founder of the Port St Lucie Real Estate Investors Association (PSLREIA). With AAOA, landlords have resources at their fingertips. Check out our Landlord Formspage.